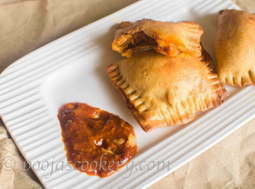 Crispy Veg pockets : One snack you would crave to have with tea. Chicken Tikka masala is from Punjabi cuisine where boneless chicken pieces , bell peppers and onions are marinated using yogurt marinade and baked . 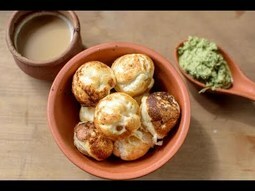 They are then cooked in creamy red sauce or curry and served . 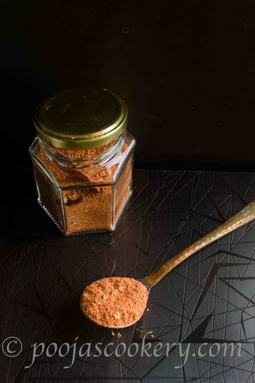 Red curry premix can be prepared in advance using correct combination of masalas(Spices) and refrigerated. 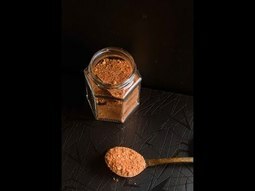 This Instant hot curry powder premix can be stored for upto 6 months and can be used for various vegetarian and non vegetarian recipes. 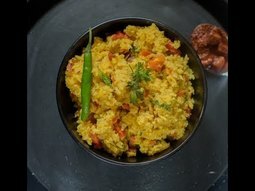 Dal Khichdi is Indian subcontinent delicacy in which rice, dal(lentils) are cooked along with some veggies and served with pickles . 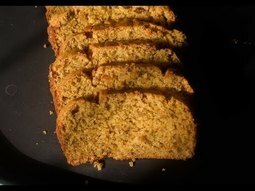 Caramelised Banana Cake is a perfect eggless cake prepared using condensed milk and whole wheat flour.This is one of the teatime cake your family would love. 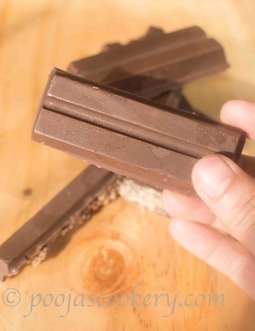 Do you want to know how simple it is to make handmade or homemade kitkat chocolates? You just need 3 ingredients and few minutes to enjoy them. Nankhatai is prepared using maida(all purpose flour)and sugar. 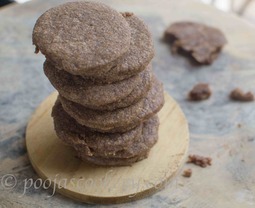 Healthy Ragi Nankhatai /Finger Millet Cookies is a healthy version where sugar is replaced with jaggery and maida with ragi flour. Tilgul Shengdana Vadi is completely a vegan and easy dessert prepared during Makar Sankranti. We do prepare Til ladoo too , almost the same recipe as that of vadi. What basically goes in these vadi is roasted sesame seeds, roasted crushed peanuts and jaggery . 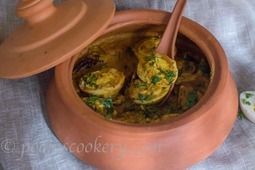 Ande Ka Salan or Egg curry is a tangy, spicy curry prepared using coconut based gravy and hard boiled eggs. 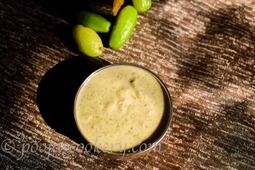 Bimbla Raita is a very simple sweet and sour condiment goes well with Indian Vegetarian lunch. 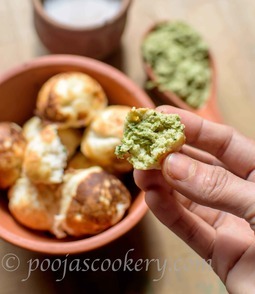 This can be enjoyed as an Indian dip too. Oreo Cookie cake in pressure cooker is soft and moist cake baked in pressure cooker rather then in convection oven, which goes well with Tea. Urad Dal Vada is a non deep fried version of Medu Vada: South Indian breakfast fritters served with Chutney prepared with urad dal batter. 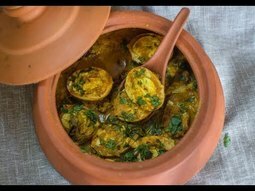 Vadyancho ross is a simple gravy made without onions and garlic. Vadyo or vadi is kind of chips prepared out of Kuvalo(Ash gourd). 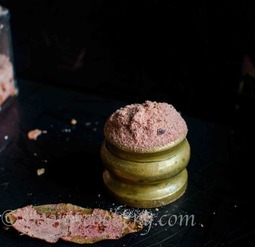 The ash gourd is grated first, then the spices are added along with urad daal paste. Little scoops of this mixture is taken on a plate keeping enough distance between each scoop and sun dried for 3-4 days. I know, its a long process but really worth , as these can be stored for months and used in curries , or can be fried and served as sides along with main course. These can be stored and used in different recipes whenever required. One such recipe is Vadyancho ross. In this, first these vodyo or chips are fried , added to the coconut gravy and simmered well to get this flavorful curry. 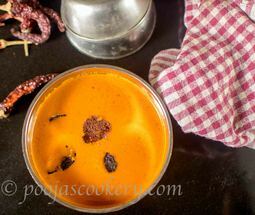 Vadyancho ross is a simple gravy made without onions and garlic. Vadi or Ash gourd chips are fried , added to the coconut gravy and simmered well to get this flavorful curry. 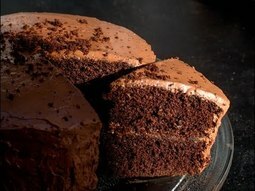 How to prepare Soft And Moist Chocolate Cake Recipe? If you are a cake lover and want to master in your baking skill, then try out this super easy , soft Chocolate cake. This is one of my perfect , no fail cake recipes. Best dessert for any occasion. Can be decorated according to the party theme. 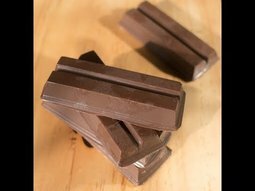 Wonder how to make chikki at home? 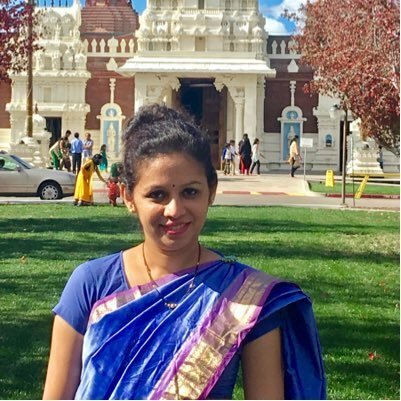 Here is my recipe to prepare mungfali chikki or peanut brittle using jiggery. 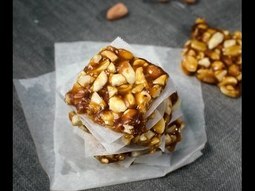 Though you can also use sugar syrup in this recipe, I prefer my chikki to be done using jiggery, which makes it little healthy option. The recipe requires just 3 ingredients and gets done in very less time. 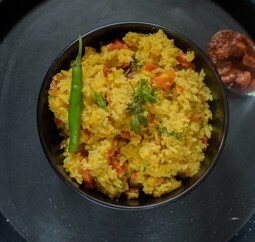 Whole Brown or Red lentil curry is one of the best choice for vegetarians especially and goes well with rice or any bread. Whenever I make curry, I try to avoid coconut whenever and wherever possible and think about the substitute for it. 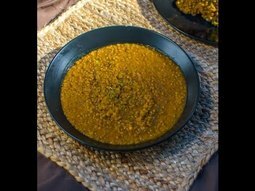 Here is my tried and tested red lentils curry where I have used tomato onion paste along with spices which gives it tangy, hot taste. This lentils curry goes with any kind of Indian bread . I prefer it with rice. 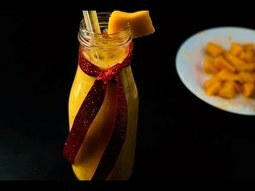 In this mango smoothie, I have replaced plain milk with Almond milk to make it vegan. Also no extra sugar is added . Instead dates and raisins are added which gives it the perfect sweet taste. 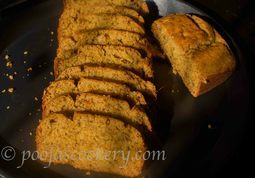 Also, flax seeds are added which are rich in omega 3 fatty acids. Good for heart. 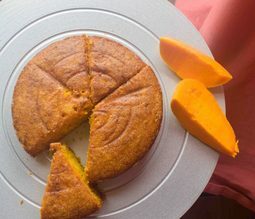 You can substitute mangoes with any fruit of your choice. This is a very good choice for breakfast as it makes you full and energetic for the day's work ahead. You get necessary calcium, iron , phosphorus, potassium , magnesium in just one glass. How to make quick Easy Chicken Curry ? 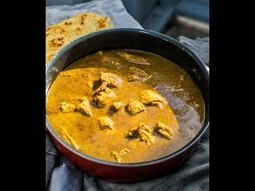 If you are a bachelor and want to make delicious chicken curry without much efforts, you have to go for this quick and simple chicken curry. Believe me, my husband prepared it for me and it was just delicious. 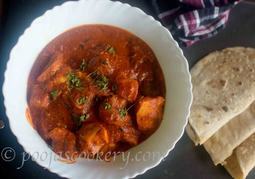 This chicken curry can be prepared with very few ingredients in a hurry without compromising on the taste. Goes well with any Indian bread. 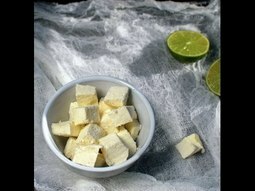 Paneer is similar to Cottage cheese prepared by curdling the milk. But Paneer has harder texture then Cottage cheese which is watery. Although the taste of Cottage cheese , what we get in USA grocery stores and Paneer is somewhat the same, the texture is quite different. The cottage cheese is not pressed as paneer and has liquidy consitency . Though the process of making them both is almost the same. The milk is curdled using acidic food like lime or lemon juice, vinegar etc. If you have to make cottage cheese then little salt is added in curdled milk. The curdled milk is then tied in muslin cloth(or any thin cotton cloth) allowing the whey to drain off in both the recipes , but in case of cottage cheese, the cheese is kept to drain for just 3-4 minutes while paneer takes minimum 30 minutes to 1 hour. 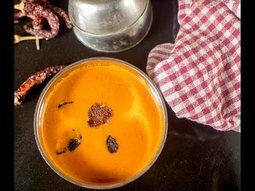 How to make perfect Limbache Lonche or Nimbu Ka Achar at home? 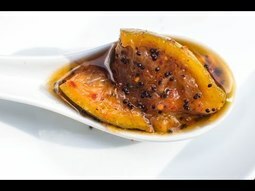 This Indian Lime pickle has many names. Some call it nimbu ka achaar, while some call it limbache lonche. Name doesn’t matter, right? What matters is the taste and the thrill you get while preparing any food. So let's see how to make it.